What’s it like to be a Blue Wheeler Groomer? Love working with dogs? Earn up to *$2,000 per week and be your own boss with Blue Wheelers - the name in the mobile dog grooming and washing franchise. Become a certified Groomer at our Blue Wheelers Training School. *Our Groomers generally earn between $1,000 - $3,000 per week. Why become a Blue Wheeler? There are millions of dogs in Australia and Blue Wheelers is the #1 choice when it comes to dog washing and grooming. If you have a passion for dogs, dream of being your own boss and want to find the ideal income and lifestyle balance, then this franchise opportunity is for you! You can get started with Blue Wheelers from as low as $14,990 (Pre-loved mobile salons) with various finance options available. Your comprehensive training is completed at our Blue Wheelers Training School where you will be expertly guided in learning the skill of dog clipping and grooming. Our Franchisees are spread far and wide over this great land of ours. They come from all walks of life and are all united in their love of dogs. Not only do they wear their passion for animals (especially dogs) on their sleeves, but they are also savvy business operators who run a tight ship! Five Reasons to join Blue Wheelers! Since it was established in 1994, Blue Wheelers has maintained its position at the forefront of the dog washing and grooming franchise industry. 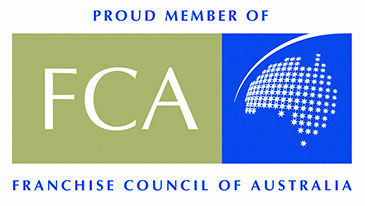 It is a member of the Franchisee Council Of Australia and has been listed seven times as one of BRW’s fastest growing franchise businesses. The pet industry is a $6 billion market in Australia and is rapidly expanding. With 39% of homes owning over 4.2 million dogs nationally, it’s no wonder that Blue Wheelers franchisees have the opportunity to earn upwards of $1200 a week with many team members earning more than $2500 per week. Blue Wheelers also supplies treats, dog food and flea treatments to enhance the earning potential of your business, if you choose. The iconic Blue Wheelers mobile salon! Unique business software that takes the worry out of running a business. 3. Drive with our iconic Blue Wheelers mobile salon. 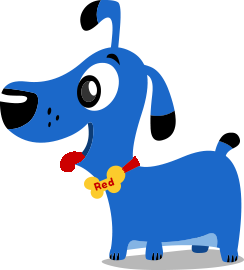 Our iconic, “Big Blue Dog” salon is a unique marketing tool that advertises itself. You’ll love seeing the excitement and wonder on the faces around your neighbourhood as you make your rounds. With over a decade in ergonomic design and refinement the salon not only looks great, but also acts as a comfortable, all-weather work environment that goes with you everywhere. Take a tour inside a Blue Wheelers Salon. 4. Get your business off the ground with easy payment options. Starting your dog washing and grooming business with Blue Wheelers is easier than you think. For less than the cost of a typical SUV, we will equip you with everything you need. Talk to us about leasing and finance options to get your rewarding new business on the road. No other franchise is as focused on a gold standard of quality training as Blue Wheelers! With our nationally accredited training program, marketing, business administration skills development and Customer Relations Management tools you’ll appreciate the difference that quality training and support can bring to your business success. Learn more about Blue Wheeler’s extensive training, guidance and support here.